Please take a moment to scroll through the exciting employment opportunities listed here this month. Or click on the links below to view the individual positions that catch your eye. 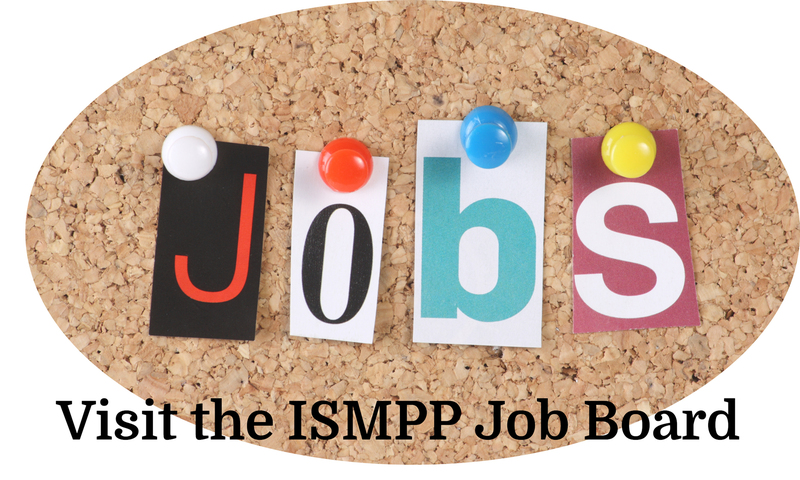 If interested in placing an ad on the ISMPP Job Board click here to view the ISMPP Job Board program options and submit your ad to the ISMPP Office. If you have questions or require assistance, please contact [email protected] or call +1 914 618 4453. Excited to grow your career? The Medical Publications organization’s mission is to support the development of high quality medical publications to ensure clear, scientific communication of BMS data enabling the safe, appropriate use of and access to BMS medicines. The Associate Director, Lung Publications and Scientific Content will be part of a high performing, cross-functional lung publication and scientific matrix team engaged in the planning, integration and execution of medical publication and related scientific content activities globally. He/she will work collaboratively across key matrix teams to ensure timely publications of data and development of scientific content. This role will be report to the lung Publications & Scientific Content Lead. Responsible for development of key publications by ensuring the clear, accurate and scientifically rigorous scientific communication of BMS data to inform the medical community about our lung clinical program. Champion the global standardization of scientific content development by eliminating redundancies in resource utilization and number of deliverables. Advanced degree: PharmD, PhD or MD in a science subject or biomedical degree preferred; a minimum of 5 years experience within the pharmaceutical or related healthcare industry. For a full list of requirements, please click the job link. The Associate Director, Medical Communication is responsible for the development of medical publications as well as the management of publication agencies/vendors and the associated budgets, and oversight of internal medical writer led projects. This role collaborates with the medical communication lead for the therapeutic area and the therapeutic area international medical directors in the development of comprehensive strategic publication plans as well as scientific communication plans. The Associate Director, Medical Communication is also responsible for leadership of the successful and timely implementation of publication and scientific plans within budget. Responsible for leading publication planning teams in assigned therapeutic area(s) along with the development and implementation of a comprehensive publication plan. Strategic publication planning is conducted in collaboration with the medical communication lead for the therapeutic area and the therapeutic area international and US medical directors. Responsible for working cross-functionally with affiliates to identify local/regional data gaps and lead strategic publication planning efforts to address those gaps; including coordinating with biostatistics to generate the analyses and conducting regional publication planning team meetings as needed. Responsible for the overseeing the development of abstracts, posters, oral presentations, and manuscripts that address local/regional data gaps and publication needs from Jazz-sponsored clinical trials and other Jazz-sponsored research. Collaborate with the international medical director and/or lead the development and revision of Medical Science Liaison (MSL) slide decks as well as training materials. Build effective partnerships with all internal stakeholders, including international and US medical affairs directors, other medical communications associates, HEOR, biostatistics, clinical development, medical science liaisons, medical information, and other members of the publication team. Assist with the coordination of internal writing resources. Manage all financial and contractual aspects of assigned projects, including external vendors. Coordinate publication reviews and integration of reviewer comments for Jazz review of publications. Ensure that all developed materials are reviewed and appropriately signed off according to Jazz SOPs and maintain archive of approved materials within the appropriate management system. Assist in the review of publications for medical accuracy, fair balance, and ensuring adherence to Jazz policies and good publication practice. Ensure all Jazz-sponsored publications are developed according to Jazz publication policy and good publication practice, including published guidelines (e.g., GPP3, ICMJE, CONSORT). In collaboration with key stakeholders within medical affairs, lead the medical communication strategy activities at key medical congresses, including the medical and/or therapeutic area booth panel development, other booth materials, meeting summaries to internal audiences, and post-meeting slide reviews to internal audiences; ensure all materials undergo appropriate medical affairs review committee assessment. Support the development and execution of medical education strategies (i.e., CME and congress activities). Advanced scientific degree (Doctorate degree preferred: PhD, PharmD, or MD). Significant proven experience in pharmaceutical medical communications / publications, medical writing, or other medical affairs scientific functions, or at a medical communications agency as a medical director and/or writer. Publications leader experience is preferred. Bristol-Myers Squibb is a global biopharmaceutical company whose mission is to discover, develop and deliver innovative medicines that help patients prevail over serious diseases. One shared journey is moving us forward at Bristol-Myers Squibb; around the world, we are passionate about making an impact on the lives of patients with serious disease. Empowered to apply our individual talents and ideas so that we can learn and grow together. Driven to make a difference, from innovative research to hands-on community support. Bristol-Myers Squibb recognizes the importance of balance and flexibility in our work environment. We offer a wide variety of competitive benefits, services and programs that provide our employees the resources to pursue their goals, both at work and in their personal lives. The Medical Publications organization’s mission is to support the development of high quality medical publications to ensure clear, scientific communication of BMS data enabling the safe, appropriate use of and access to BMS medicines. The primary responsibility of the Immunoscience Medical Communications Associate Director will be to lead the development and execution of a comprehensive, globally aligned, strategic medical communication plan across the BMS Immunoscience Portfolio, with a focus on our treatment for Rheumatoid Arthritis, Orencia (abatacept). Edwards’ has an exciting opportunity in the Transcatheter Heart Valve (THV) group, focused on developing minimally invasive solutions for patients suffering from structural heart disease. As the Podium/Publication Associate Manager, you will serve as the technical writer and podium content developer working with other subject matter experts to create abstracts, manuscripts and presentations that effectively and clearly describe study methodology, clinical data and product use. You'll also ensure that the documents and presentations comply with Quality Systems Regulations and applicable regulatory, journal and other guidelines in terms of content, format and structure. Apply your technical expertise in writing in clinical and regulatory support. Assist in execution of podium, publication and project advisory strategy documentation. Collaborate with cross-functional teams including regulatory, R&D, QA, biostats, and Marketing on clinical data analysis and reports. Perform all duties required in the clinical research, which includes data mining, compiling, analyzing and summarizing data from all applicable sources. Maintain current, in-depth product knowledge including clinical literature review, as well as therapeutic and product operation knowledge. Independently review completed study data analysis draft reports, forms, raw and summary data, and conduct periodic validations of database for accuracy. Assist in preparation of annual and by meeting podium/publication strategies and execution timelines for the dissemination of a global research portfolio. Will be the primary contact person for domestic and international KOLs on publication and presentation activities including planning, prep, trouble shooting and data presentation. Apply scientific principles, theories and concepts to research problems and develop documentation in compliance with regulations. Demonstrate ability to correctly analyze data/results and interpret outcome of experiments and to propose appropriate follow-up without supervision. Contribute to the generation of the quality plan. Provide project related updates to internal and external customers. Bachelor’s Degree or equivalent scientific research with post-graduate training (MS or PhD preferred). Minimum of 8 years related experience, including 4+ years of technical/medical writing and/or clinical data analysis. An understanding of Good Publication Practices (GPP3) requirements, Quality Systems and ICH guidelines. Experience with computers and various database including PubMed. He/she must be assertive, persistent, detail oriented, and comfortable interacting with R&D engineers, regulatory specialists, marketing, physicians, statisticians, and support personnel. Overnight travel to various states/internationally for professional meetings and/or working sessions will be required. SciStrategy Communications, a health care communications company, is seeking an experienced Associate Medical Director to expand our team of strategic health care communications professionals. The core responsibility for this position is leading the development of scientific content for communications initiatives that meet the highest standards of quality and accuracy. SciStrategy Communications has 30+ years of experience in medical communications planning, strategic publication planning, and education across product life cycles, featuring digital and interactive formats. We are an equal opportunity employer, committed to promoting a climate that encourages our employees’ professional development, respects individuality, and preserves a culture of teamwork. For nearly four decades, Amgen has been at the forefront of providing novel therapies that have changed patients’ lives. Here at Amgen, we believe the best is yet to come – and we need your help! Join our Amgen team in Thousand Oaks, CA as a Global Publications Planning Senior Manager reporting to a Director of Global Publications. The successful candidate will work with cross-functional and cross-regional leaders to develop dynamic, strategic Global Publication Plans aligned with program objectives for Inflammation products. Company: SNELL Medical Communication Inc. Founded in 1995, SNELL Medical Communication provides a diverse range of communication services to pharmaceutical and biotechnology companies in the U.S. and Canada. The Medical Editor/Proofreader will be dedicated to IMPRINT Publication Science, a group that is devoted to publications and medical affairs. The work is highly scientific and the group believes medical editors are integral to their success. You will be a core member of the team, responsible for delivering to Program Directors, Medical Directors, et al, within budget and on time, high journalistic quality edited, proofread, and (if required) referenced medical communication materials that are strategically, medically, and scientifically accurate. VMLY&R Is an Equal Opportunity/Affirmative Action Employer. All qualified candidates will receive consideration for employment without regard to race, color, creed, religion, disability, gender, age, national origin, marital status, sexual orientation, pregnancy, veteran status, or any other status protected by state and/or federal law. Are you looking for an opportunity to build relationships and lead multi-functional teams in the end-to-end delivery of GSK’s scientific publications? Do you have strong communication and interpersonal skills? Do you like working in a dynamic fast-paced environment? If so, this is the role for you. As Publications Manager you will be responsible for developing publication plans and engaging internal and external authors to deliver high-quality scientific publications for the portfolio. You will be supporting senior leaders, external experts and other global team members in their publication activities to ensure quality, timeliness and compliance with internal and external requirements. Strong and continual focus on scientific integrity and ethics and comfortable escalating and challenging digressions from company policy or values with supervision. The Senior Manager, Medical Communications is responsible for the management of publication agencies/vendors for the creation and revision of medical content to support Medical Science Liaison (MSL) and managed care MSL (MCMSL) teams, and/or will directly create this content. The Senior Manager, Medical Communications is also responsible for leading publication projects in collaboration with medical communications leaders. The Senior Manager, Medical Communications, reports into the medical communications lead for the therapeutic area. This position supports the sleep therapeutic area. Develop and maintain content (e.g., slide decks) for Medical Science Liaison (MSL) and managed care MSL (MCMSL) teams for assigned product(s), through management of publication agencies and/or direct content creation. Lead projects through the Jazz medical content approval process. In collaboration with key stakeholders within Medical Affairs, lead the medical communications strategy activities at key medical congresses, including the development of medical and/or therapeutic area booth panels, other booth materials, meeting summaries to internal audiences, and post-meeting slide reviews to internal audiences through agency management and direct content development; ensure all materials undergo the appropriate Jazz medical content approval process. As assigned by the medical communications lead(s) for assigned product(s), responsible for the overseeing the development of abstracts, posters, oral presentations, and manuscripts from Jazz-sponsored clinical trials and other Jazz-sponsored research, through management of publications agencies. Collaborate with biostatistics and other R&D stakeholders to provide direction for analysis plans for the development of post-hoc analyses utilized in publications and other medical content creation. Collaborate with medical communications lead(s) for assigned products with the development and implementation of a comprehensive publication plan. Strategic publication planning is conducted in collaboration with the medical communications lead for the therapeutic area and the therapeutic area medical director. Build effective partnerships with all internal stakeholders, including therapeutic area medical directors, medical communications leads, HEOR, biostatistics, clinical development, Medical Science Liaisons, medical information, and other members of the publications team. Establish strong working relationships with authors and other external experts.Manage day to day interactions with publication agencies and participate in vendor selection activities. Ensure that all developed materials are reviewed and appropriately signed off according to Jazz Policies and SOPs and maintain archive of approved materials within the appropriate management system. Assist in the review of assigned publications for medical accuracy, fair balance, and ensuring adherence to Jazz policies and good publication practice. Ensure all assigned Jazz-sponsored publications are developed according to Jazz publication policy and good publication practice, including published guidelines (e.g., GPP3, ICMJE, CONSORT). Develop and expand scientific proficiency in assigned therapeutic area(s). Prepare, analyze, interpret, and summarize data. Evaluate study data from tables and listings. The Senior Manager, Medical Communications reports into the medical communications lead for the sleep therapeutic area. Advanced degree required. Doctorate level preferred (PhD, PharmD, MD). Minimum of 3 years of experience in pharmaceutical medical communications/publications, or at a medical communications agency in a medical director role. Experience within the pharmaceutical industry is preferred. CMC Connect, part of McCann Health Medical Communications, is a leading global medical communications agency with offices in the UK and US. We work with global and domestic teams from many leading pharmaceutical and biotechnology companies and provide a positive working environment for our staff. We are incredibly proud of the work we produce for our clients - which makes us incredibly proud of the highly talented and hard-working individuals that make up CMC Connect. We are a team of high performing and collaborative individuals working toward the common goal of scientific excellence no matter the assignment. We are now looking for a Senior Medical Writer in our Radnor office to work on a variety of medical communications materials for print and digital media. The ideal candidate will have breadth as well as depth of experience in medical writing. You will be able to demonstrate your excellence writing for abstracts, posters, manuscripts in addition to broader experience writing across other medical communications tactics (e.g. scientific platforms and narratives, lexicons, clinical slide decks, medical education and more). For the Senior Medical Writer role you will need the right blend of skills to produce high-quality communications, and the ability to liaise directly and effectively with clients and clinical experts. Applicants must have a life science degree (preferably a PhD) and previous writing experience. A proven track record in medical communications is essential, along with the ability to co-ordinate the delivery of editorial projects and to provide scientific excellence across a number of accounts and therapy areas. We offer careers not just jobs, continuously fulfilling our commitment to invest in our team members and met their professional development needs. We build roles around the strengths and aspirations of our staff and in doing so have become an employer of choice for over 100 employees worldwide. The wide variety of clients we work with allows our staff to broaden their experience through multiple and exciting project types. We are exceptionally proud of our company culture; we support and respect our team members, offer great work-life balance solutions and we empower individuals to learn, grow and develop, all in a free-thinking environment of innovation and ideas. SciStrategy Communications, a health care communications company, is seeking a talented senior-level medical writer to expand our team of strategic health care communications professionals. The core responsibility for this position is developing scientific content for communications initiatives that meet the highest standards of quality and accuracy. SciStrategy Communications brings 30+ years of experience in medical communications planning, strategic publication planning, and education across product life cycles, featuring digital and interactive formats. We are an equal opportunity employer, committed to promoting a climate that encourages our employees’ professional development, respects individuality, and preserves a culture of teamwork.